One of Budget Travel Magazine’s “10 Coolest Small towns in America” and home to the Woodstock ‘94 reunion rock concert, the town of Saugerties, NY, is cradled by the Hudson River and the Catskill Mountains in Ulster County. Once a thriving industrial community, the former home of Jimmy Fallon and Levon Helm is now known for its arts and amenities, amidst an array of still-standing historical landmarks and old-time establishments. In 1832, quarries in Saugerties were found to contain some of the world’s most beautiful bluestone, and today the bluestone mined in Saugerties can be found in the sidewalks that line the streets of New York City, Philadelphia, Boston and even Cuba. 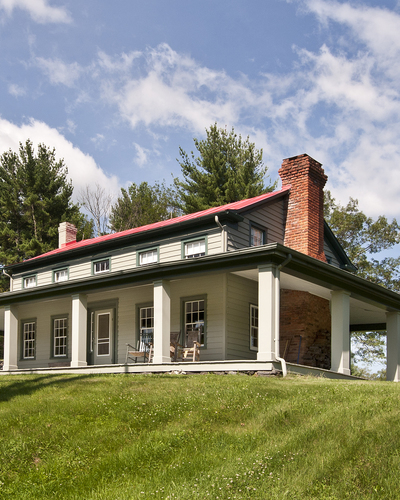 In Saugerties, there are 12 National Historic Places, including Opus 40, a series of dry-stone structures created by sculptor and quarryman Harvey Fite on 6.5 acres of bluestone quarry, and the Saugerties Lighthouse, which once delivered its warning signals using five whale-oil lamps and parabolic reflectors and now functions as a remote and serene bed and breakfast on the shores of the Hudson. Locals and visitors in Saugerties rent kayaks and paddleboards to travel the Esopus; traverse the 155 acres of the protected Esopus Bend Nature Preserve; and frequent the popular, family-friendly Catskill Animal Sanctuary. Others skate the full-sized, indoor ice rink; watch the Saugerties Stallions (semi-pro) baseball team play at Cantine Field; attend the largest food festival in the United States, the annual Hudson Valley Garlic Festival; and watch Olympic-level horseback riding at the HITS-on-the-Hudson equestrian facility.